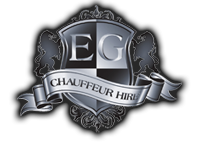 EG Chauffeur Hire have put together packages specifically for festival lovers and music bands. We can provide you with safe, secure transportation between your home and the venue, leaving you free from concerns about your transportation, or worries about how safe it is to leave your car in the car park. Focus on having a good time and let us worry about the transportation. There is no need to find a designated driver so your group can enjoy the full spectacle without one of you having to stay level-headed and sober ! Our huge range of experience with Scotland’s major festivals, means you will be sure of stress-free transportation to your venue. We know the routes, we know what the traffic will be like on the day and we know the event layouts themselves. Need VIP transportation at short notice for your band or performer ? We can do that too. Safe, discrete and secure – our chauffeur service for bands and event performers is second to none meaning the passenger is free to worry about the event itself and not the ‘getting there’. Our fleet of vehicles are always in top condition and maintained and checked by our dedicated, qualified mechanic. We can accommodate large groups and can remain near / on-site during the event, should you need us at short notice. From T-in-the-Park, Wickerman and RockNess to the Edinburgh Tatoo and the Glasgow International Folk Festival – we can provide safe, clean and prompt transportation for the full gamut of Scottish events whether you are an event-goer looking to let your hair down, or a performer who needs to focus on performing. Contact us to find out more – or use the buttons below to book a package.